There is a new set of EPA regulations being considered. For once they actually “let” it leak out before they imposed them on us. Being an agricultural community, folks around here are pretty pissed about ANY more laws on them, their land and water. The EPA is trying to head this off at the pass. I’m not sure I believe them. Okay, I KNOW I don’t believe them. They have tried to screw folks around here 6 ways to Sunday in the past. To think they’re gonna be warm and friendly now is a stretch to say the least. Some of the claims are downright lies or at least have nothing backing them up. What “economic benefits” were ever seen from more regulation? 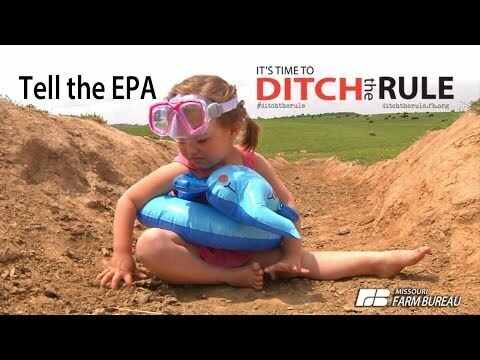 How is more EPA rules EVER going to make a farmer more money? These regulations are longer and more intensive, not shorter and easier. The claim they aren’t going to try to claim more “wetlands” under the new rule is also false. It’s simply NOT true. They have EVERY single year before. To think that a government agency would stop expanding its power year after year on its own is ridiculously naive… and in this case an outright lie. Stop lying to us, EPA! I have a better idea… let’s ditch the EPA. We already have State agencies that do the SAME THING. While we’re at it, we have a State Dept of Transportation, a State Dept of Education, a State Dept of Agriculture…. what can you possibly add with hundreds of billions of dollars of offices in Washington and tens of thousands of pages of more laws? It’s all about making govt. bigger. The more laws the more employees to enforce them. Also need more people to make the laws that more employees will enforce. Seems like a merry go round doesn’t it?